The digital world has artistic opportunities for diverse groups of people. 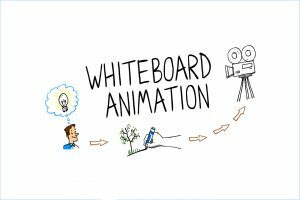 Whether you are a hobbyist or professional looking to check out another kind of animation, whiteboard animation is an interesting skill to branch into. What is it, exactly? Using voiceovers, images, characters, sounds, and shapes (in any combination, give or take a few), you can create a captivating clip that can be used for promotional purposes or simply as a hobby to impress your friends. Teachers also rely on this to make tutorial videos that help students retain large amounts of data in an accessible fashion. From step-by-step guides to office presentations, whiteboard animation has left a prominent mark in the world of animation. With YouTube and all-access options for whiteboard learning, you do not need to be a graphic designer to get into the field. You can learn it right from home, as long as you have a working computer with a good operating system and a reliable internet connection. More than the art itself, the software matters. Here are three top online favorites for whiteboard animators. You need little to no technical experience or knowledge to use this super-easy online tool to create whiteboard animations. Choose the images and watch them animate. You can add voiceovers, drawings, text, and other animations as well. Short for ‘powerful toons’, you can draw your own inferences from the name while the tool lets you make animated presentations and smart (or not) videos. The process is quite simple and you get to play at white boarding and explore animation possibilities. You can go elaborate with this tool, use backgrounds, props, characters, and more and be spoiled for choices as you whiteboard animate a superb digital message or presentation; included are script match-ups and delay timers. What Amateur Animators Need To Know? It’s all about practice, not just winging it. These are essentially videos in which you are going to play writer, director, and set designer. Do you have ideas that can best be communicated visually? 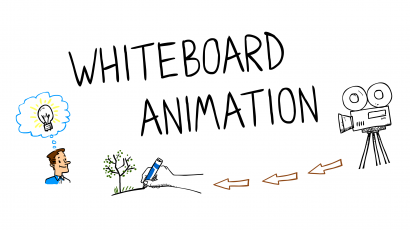 Whiteboard animation is your go-to skill. There are online resources that come designed to guide you through the process. This is when Wikipedia is too vague or if YouTube has too many videos with different opinions that end up confusing the budding artist in you. Our site, PencilMotion, is a comprehensive all-in-one package for whiteboard enthusiasts who are actively seeking others in the same field, or who want to learn the skill fast and grab only the needed resources to do it. You can create an account with us, explore the blog, contact us for more information, and take a gander at our pricing for exclusive whiteboard services. You can learn to make ace animations with us or have us make them for you. Beginners will like to know that this field is quite varied. There is no end (no joke) to the possibilities. While they are not short films or jazzy trailers, whiteboard animations are fast, are designed to grab and hold attention, and are much easier for people to remember. There’s little wonder why they are used as teaching aids. In fact, you can use them to help prepare yourself for important exams. Imagine the time saving potential and the chance at increased memory retention. 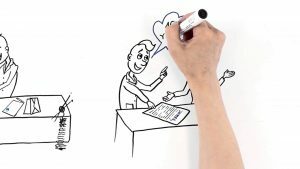 If, on the other hand, you are merely interested in the ‘fun’ side of it all, whiteboard animation is versatile enough to grant you that opportunity.